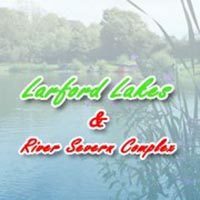 Round 1 of the Larford Winter League saw 14 teams of 4 with 56 anglers fish the Match & Specimen Lake. Chris landed 210-01-00 on pole & hard Pellet. 2nd on the day was Paul Cook (Frenze) who drew peg 68 on the speci chalet bank with 168-02-00. Paul fished Method feeder and long pole & pellet. 3rd placed Rob Skellet (Cwmbran Nobblers) drew peg 46 on the match lake and caught 140-10-00 on pellet waggler. 4th on the day was John Hudson who drew peg 48 on the Match burr bank weighing 134-08-00 on pellet waggler. 5th placed Mark Smith (Old Ghost) drew peg 10 on the Speci burr. He caught on method feeder and at 6m with meat weighing 132-01-00. 6th placed Warren Jennings (Larford) drew peg 44 on the match lake weighing 125-15-00 on paste fishing short.